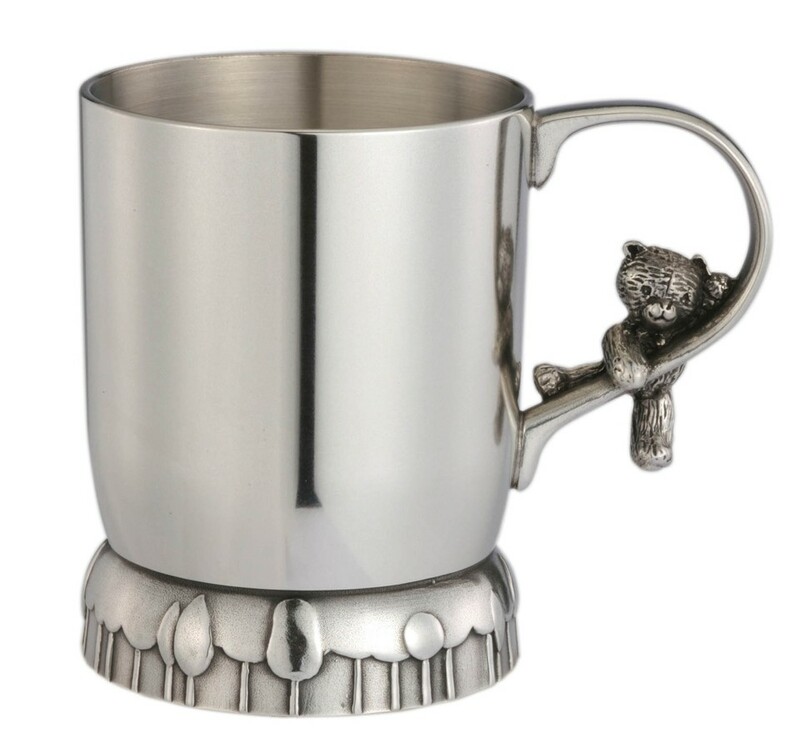 This adorable mug features a figure of a teddy bear climbing onto the handle. The plain surface makes it easy to be engraved on. 14cl.